Sunny Vanderbeck is the co-founder and managing partner of Satori Capital, a multi-strategy investment firm committed to the principles of conscious capitalism. 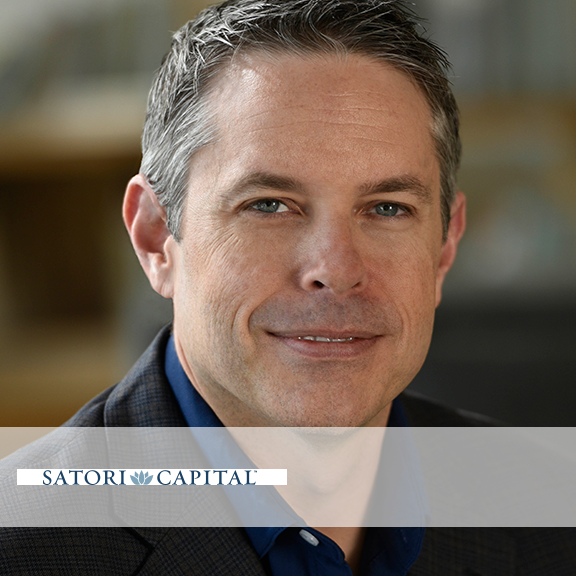 Satori’s private equity business partners with leadership teams of companies with $5 million to $25 million of EBITDA that operate with a long-term perspective, commit to their mission, and create value for all stakeholders. Satori’s alternatives investment platform, Satori Alpha, creates and manages customized portfolios designed to meet the unique objectives of institutions, family offices, and sophisticated private investors. Prior to forming Satori, Sunny founded Data Return, a provider of managed services and utility computing. His eleven years as the business’ leader included exceptional revenue growth and a successful IPO that made him one of the youngest CEOs to ever lead a NASDAQ company. He was also named a “Top 25 Technology Executive” and an “Entrepreneur of the Year” finalist by Ernst and Young. Sunny’s previous roles include team leader at Microsoft and Section Leader in the U.S. Army’s 2nd Ranger Battalion. Leveraging his expertise in strategy, operations, and capital allocation, Sunny is actively engaged with multiple companies as an investor, advisor, and board member. Additionally, he is a member of Young Presidents’ Organization (YPO), where he co-founded the Entrepreneurship and Innovation Network, which helps CEOs accelerate the growth of their businesses. He is a frequent speaker and presenter on strategy and conscious capitalism.